First skirt tutorial of skirt week was almost a craft fail. I had this image in my mind of this skirt. Just putting it together was a bit more difficult than anticipated. After spending all day the first day on it, I went to bed discouraged because it didn’t look right. The next morning I woke up with determination. I was going to fix it and salvage that skirt. So here it is. You can call it repurposed skirt because I used a long-sleeve shirt and drapes to make it. All the skirts for skirt week were made for my daughters. But since I show you how to draft your own patter, you can make it your size too. If you make something using this tutorial, please upload pictures of it in our Flickr group to show it off to everyone. You may be featured on Simply Modern Mom. The skirt was for Kaye. The other day she came up to Nathan and I and asked, “What am I going to be when I grow up?” Nathan said something like, “A lovely girl?” That answer wasn’t satisfactory for her. She replied with, “No. I needs to be something splendid and great.” Then she answered her own question with, “I’ll be a ballerina when I grow up. That’s splendid!” Well, ballerina Kaye. Here’s a skirt for you. Love, Mom. 1. 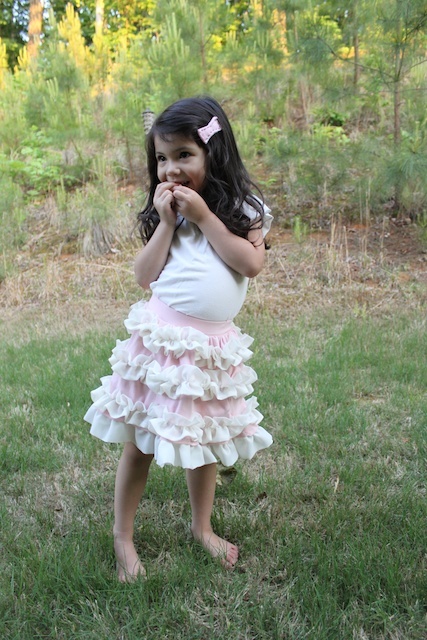 Grab a skirt or dress that is the right size for your child. Or you can take measurements from waist to knee and waist circumference. 2. 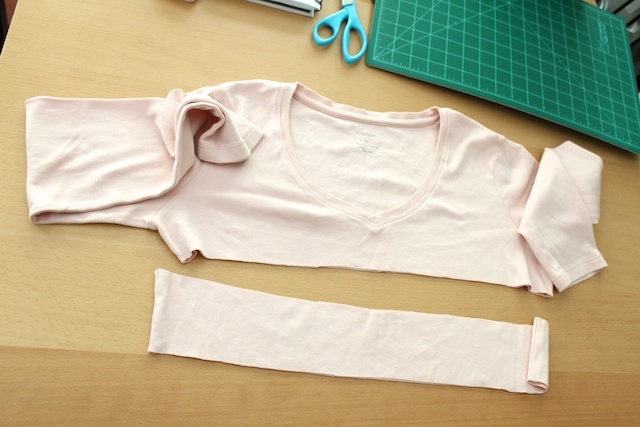 The simple way is to add 3 inches to the length and just fold the top to make a casing for elastic for the waist. Or you can do the difficult way like me and cut just below the waistline. 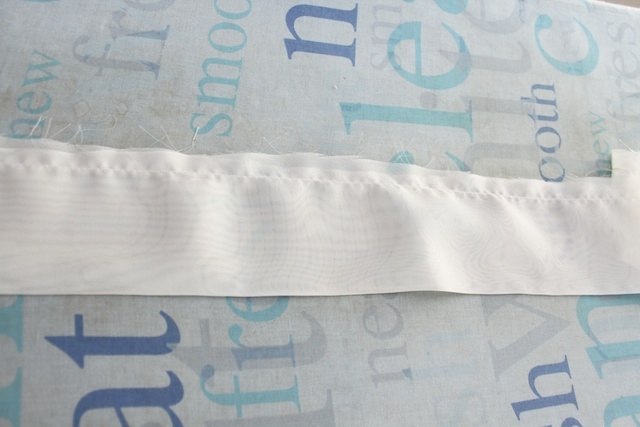 Then cut a separate piece for the waistband that is 4 inches wide. I would suggest going with the first suggestion. 3. Cut your sheer/tulle fabric. 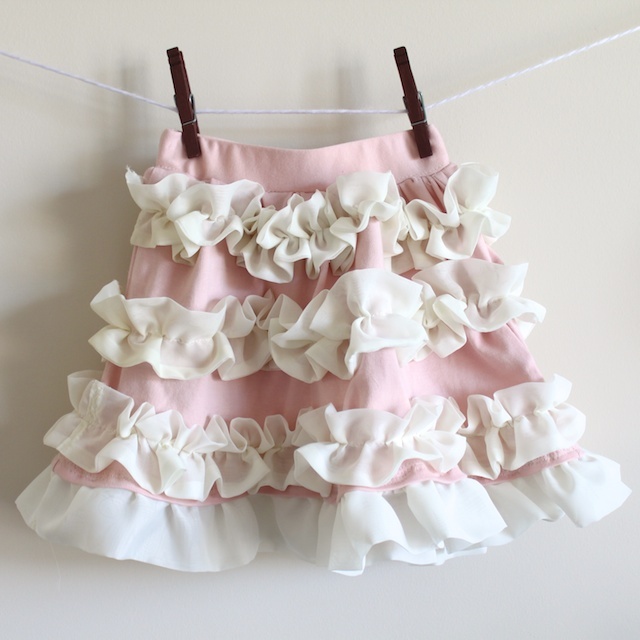 You’ll need 4 pieces or more if you like the ruffles to be closer together. 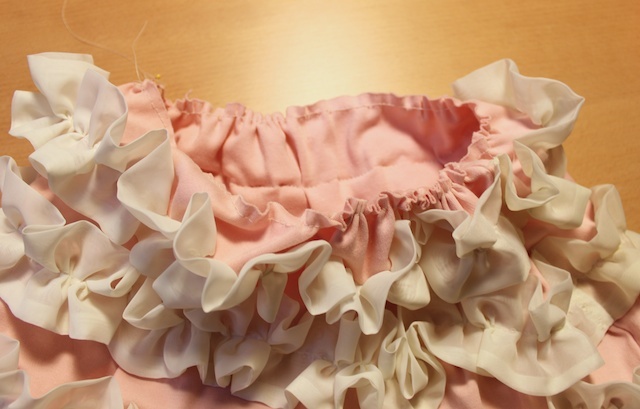 And the width of the ruffles depends on how wide you want it to be then double it because you’ll be folding it in half. Mine were 6 inches wide so they folded to be 2 3/4 inches because of the seams. 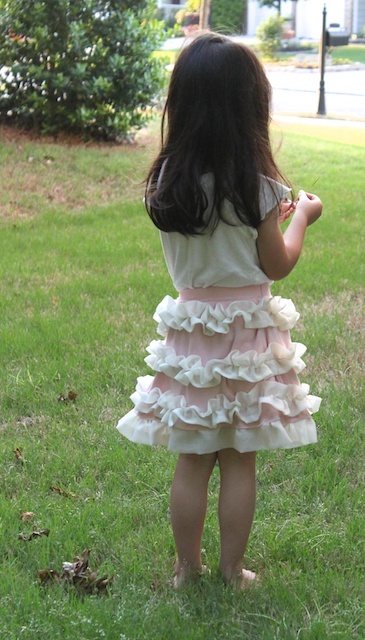 The length of the ruffles should be at least twice the circumference of your skirt. Better if it’s 2 1/2 times or 3 times longer for more of a gather. 4. Fold in half. 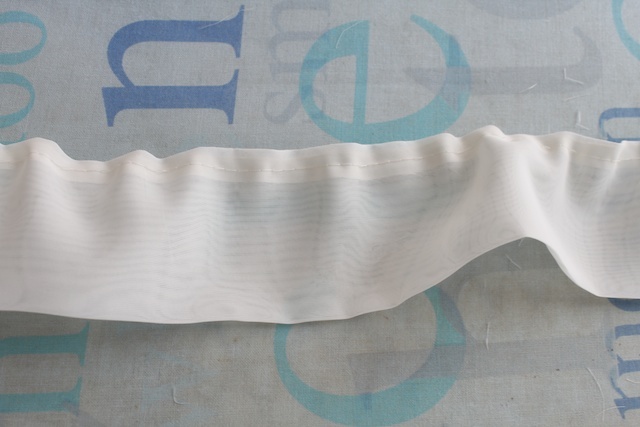 Iron flat (look for ironing instructions on your sheer fabric to make sure it can withstand the heat). 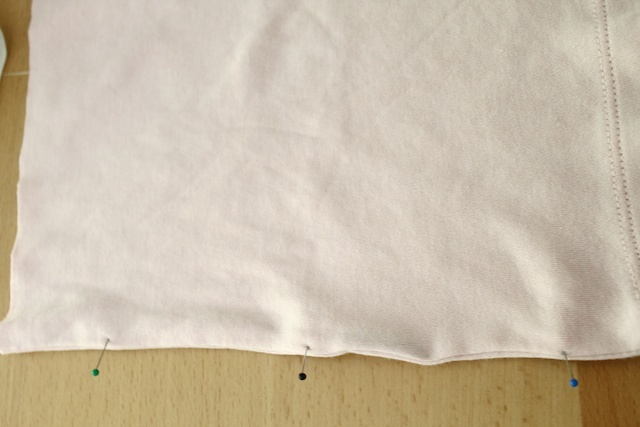 Sew the lengthwise open edge. 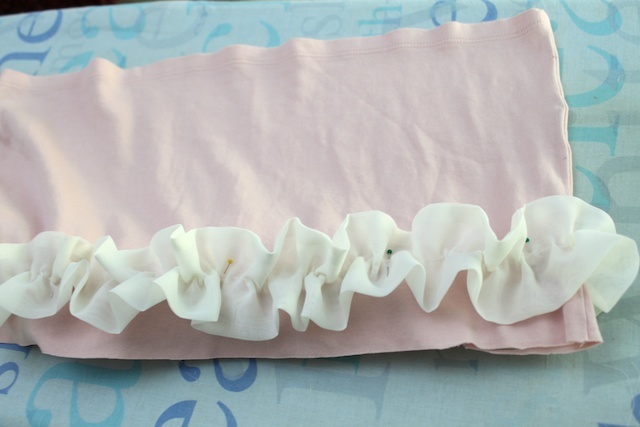 Then use a safety pin to flip the ruffle layer right side out. Iron flat again. Do this to all 4 ruffles. 5. Do a basting stitch down the middle lengthwise of the ruffle that is now right side out. 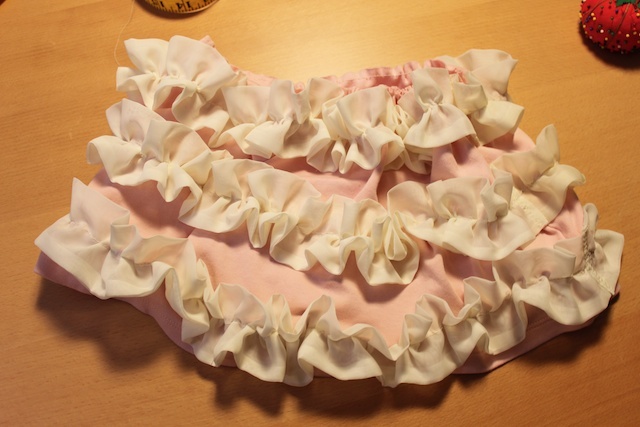 Then gather the ruffles to the size of the skirt circumference. Do this to only the first 3 ruffles. The fourth ruffle is different. 6. 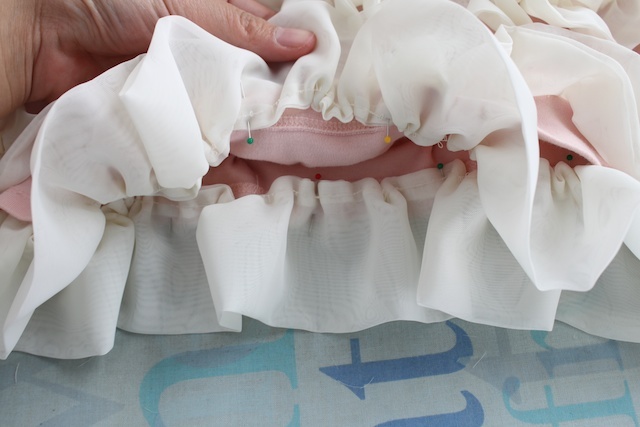 Once the ruffles are gathered to the size of the skirt circumference, you can sew the two open edges together. 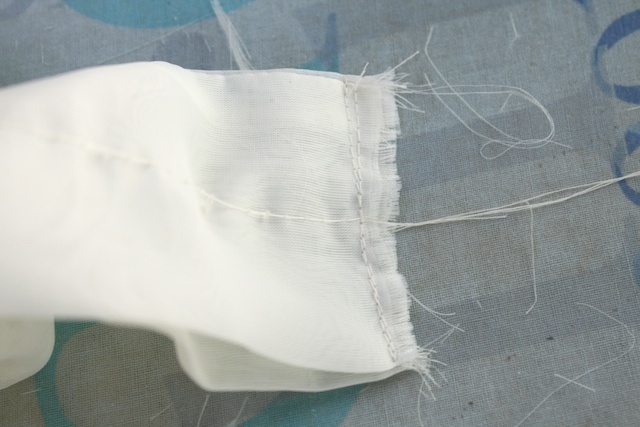 Then do a zig zag stitch over the seam to keep it all in place. 7. 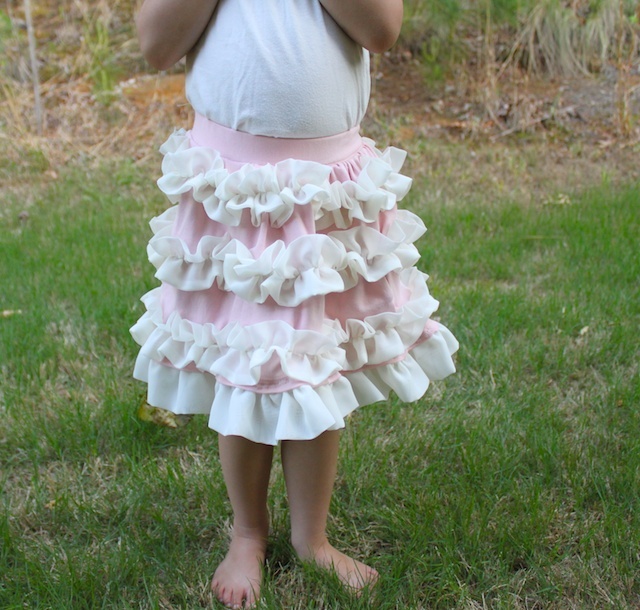 Mark the edges of your skirt to where the layers of ruffles will go. I spaced it out evenly with room at the top for the waistband and at the bottom for the 4th ruffle that goes inside of the skirt at the bottom. If you are going with the casing way as suggested, you should add that extra 3 inches spacing at the top for the casing. 8. Pin the ruffles in place according to your markings. You might want to do this along with step 6. Pin the ruffles in place then sew the edges together. Then sew the first 3 ruffles in place. 9. The fourth ruffle should be right side out. 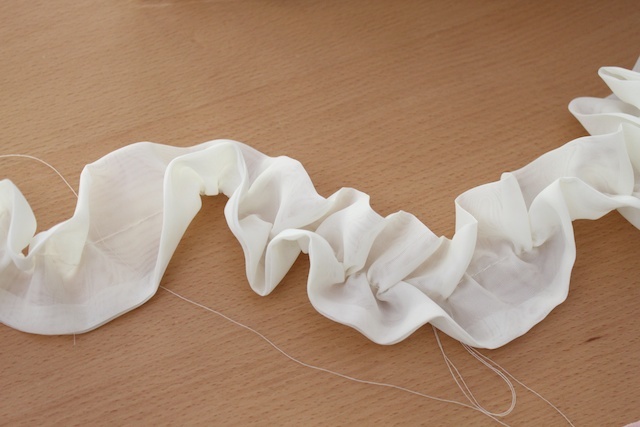 Do a basting stitch at the top of the ruffle. Then gather and pin to the inside of the bottom of the skirt. And sew in place. 10. 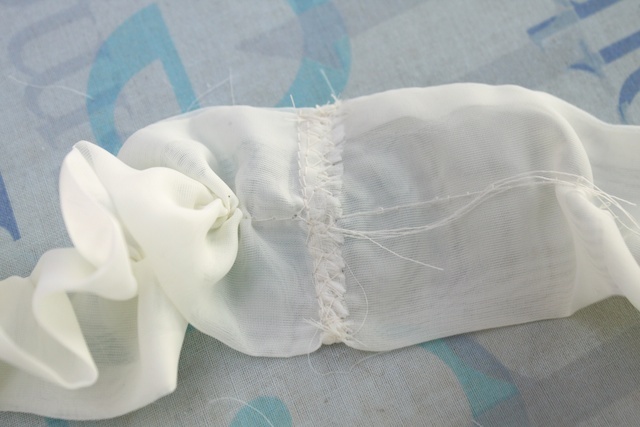 (Version 1) If you are going with the casing at the top of the skirt, fold the casing down on the inside. Iron and sew in place in straight line but leave 1/4-inch at the end to do a zig zag stitch over at the end. But leave a 2-inch open to put the elastic through. 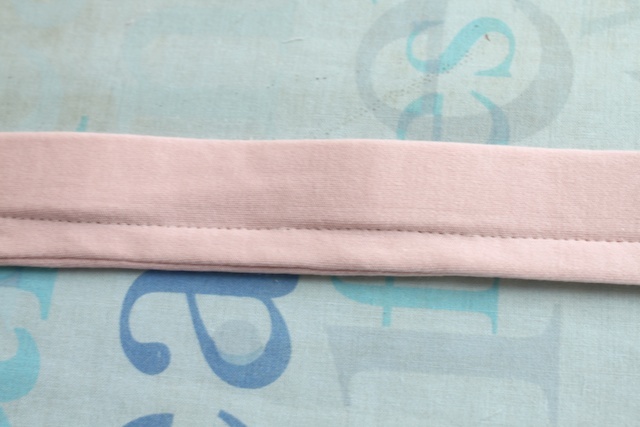 Once you put the elastic through the casing (use a clothes pin to help you pull it through the casing), sew the ends of the elastic together. I usually secure it with a zig zag stitch too. Pull the elastic all the way through the casing. Then sew the casing close. Finally, zig zag stitch the excess 1/4-inch seam. But pull on the elastic as you do it so it can expand. And you’re done. You can skip the rest of the instructions. 10. (Version 2) If you are doing a separate waistband like I did, then do a basting stitch at the top of the skirt. Gather it to about the size of the waist circumference. 11. 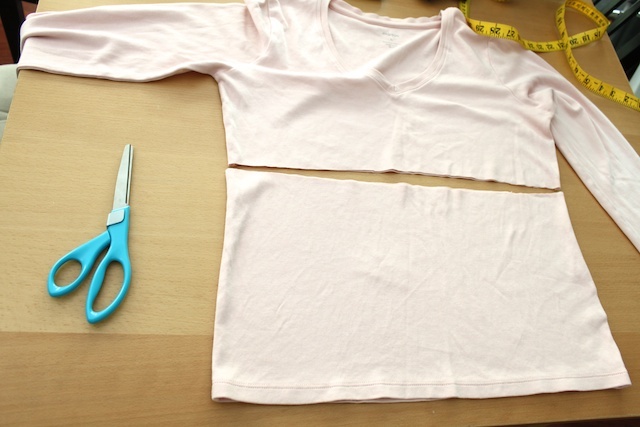 Take your waistband piece, sew the length, flip right side out, iron. 12. 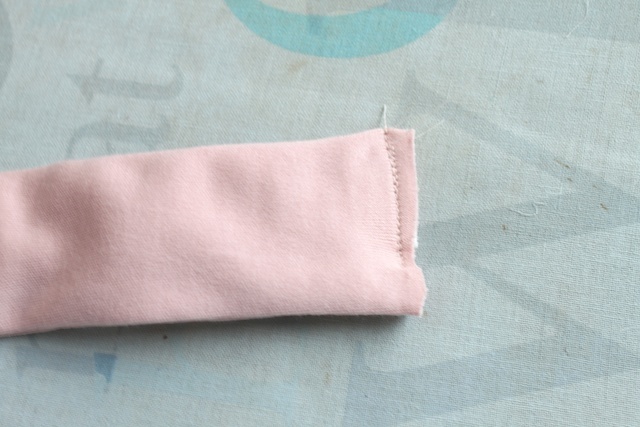 Pull the elastic through and sew the elastic close with one of the ends. 13. Sew the casing for the elastic to hold the elastic in place. There should be about 1/4 inch left. That’s the seam to sew it to the skirt. 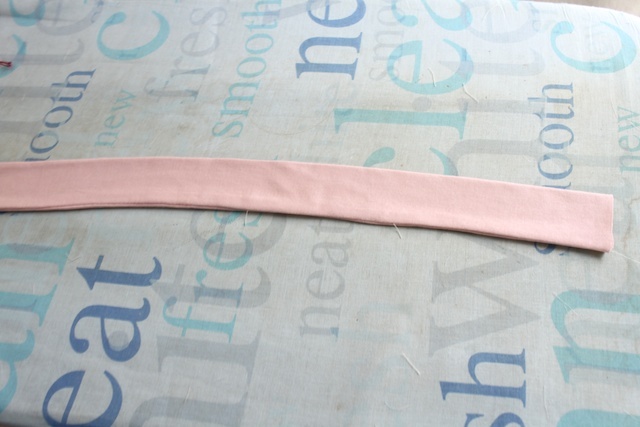 Then sew the elastic to the other end of the waistband. Then sew both ends together with the seam on the inside. 14. Pin the waistband to the skirt. The band should be on the outside facing downward. Sew in place, but pull on the elastic as you are sewing so it can expand. And done. » Tell me… Help me feel better by tell me your latest craft fail moment. I’m just glad I was able to salvage this skirt and make it work after many hours of frustration. I have featured you today on Today’s Creative Blog! Being featured means tons of traffic and new visitors! Please email me for your featured button that only featured bloggers receive. thanks for the feature, kim! i’ll for sure email you soon. I love it! will have to definitely try this one out for sure! I love it! That’s my kind of sewing! No pattern? Make-it-up-as-you-go – yep, my kind of sewing. I think you did a great job and I love that you used old items to make it. Thanks for sharing (I found your blog from TCB. you are much too sweet tracy! thanks so much for all your kind words and so honor to make it on your google reader! My latest failed project…it was supposed to be simple…6 hand knit placemats with some kind of cool pattern in them. Here’s my results…http://www.homemakerspensieve.com/2010/04/27/finished-crochet-project/ …hope you don’t mind the link, but the explanation is far too long for a comment. Great details on the tutorial! Nice job! It is a beautiful skirt. I don’t even attempt sewing because it would such a disaster. I love this skirt and will be featuring it at somedaycrafts.blogspot.com. GRab my “featured” button. Wow, this is so pretty! I would love to link to this tutorial if you didn’t mind. Adorable! If you’d like, link this up to Make It Wear It on TheTrainToCrazy.com! This is so adorable. I have three girls and they will love this! I found you through Girly Do’s by Jen, I’m so glad I did! I found your blog and this post while looking for clothes upcycling projects. I LOVE this skirt and how you made it, and wondered if you would be interested in linking it up to a new page on my blog that I’ve created, for everyone to link up tutorials and ideas for upcycling clothes. There are so many ideas out there, but I want to create a central resource where people can come for ideas of what to do with those clothes we can’t bear to throw away. It’s not just a weekly linky, but one that will remain there for much longer. I would love if you came and linked this project to the new page I’ve set up to try and pull together the great tutorials and ideas for upycling clothes that I’m finding. That is so precious. And I just have to say that it brought so much delight to my heart to read about your little girl saying that she wanted to be some “splendid and great”. I just love that phrasing – it made my day!!! What if we want to make this but we don’t want to use an old t-shirt? and We want to do it in an adult size? Love this but was wondering what happens when you wash it. Does it look the same? I just found your site, from what I’ve seen (Ballerina Skirt) I’m going to be coming back again and again. 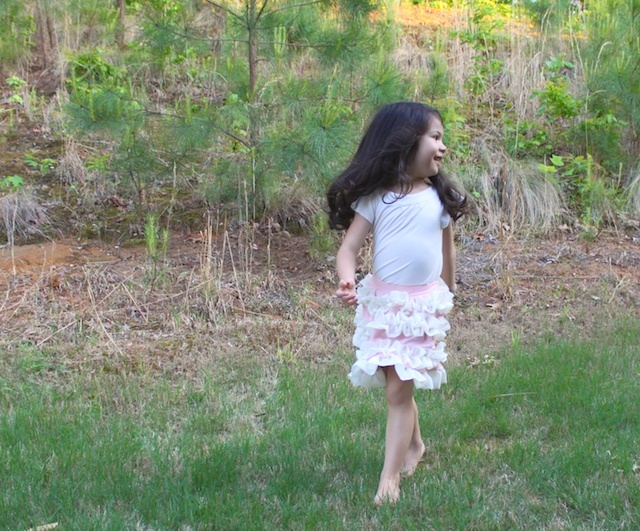 I have 2 little granddaughters and one loves to be a ballerina /princess. I also work at a daycare and plan on making a couple. I’ll have to modify them as we have different sizes of little girls. Thanks for the great idea. This is such a beautiful skirt I can see why you wanted to salvage it. Great work! 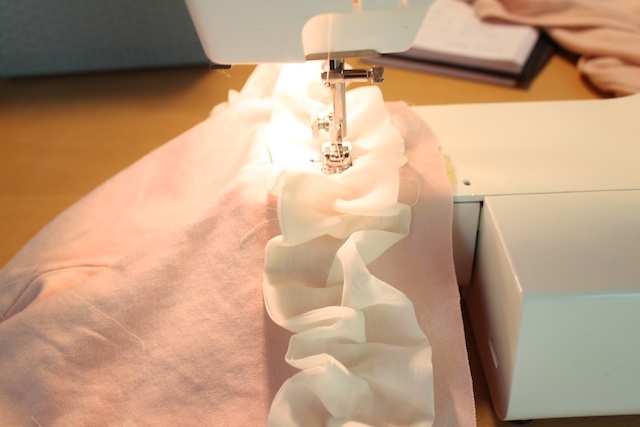 Did you sew the ruffles in place with a standard stitch or did you use a stretch stitch?